Hard Brakes? Soft Brakes? No Brakes?–Come See Us! Your vehicle’s braking system is its most important safety component. If your vehicle’s engine is in tip-top shape, but the brakes are questionable, you’ll leave the vehicle in the garage until they’re fixed. Quality brake performance is how you get the most out of your vehicle’s handling, safety, and efficiency. Pay attention to any of the early warning signs that you have a brake repair needs. These signs will usually be audible in the beginning. For instance, when you hear a high-pitched squealing sound when applying your brakes, the brakes are trying to “tell” you something–”I need some attention!” These noisy brakes are an early indication that the brake pads have worn too low. Carmedix in Durham, NC has a team of brake repair experts who can fix any malfunction in your brakes, and return them to their original condition. When you respond quickly to your brakes’ cry for help, our repair facility should be your first call or stop. Sometimes it may be hard to hear these early alerts from your brakes. By having the windows rolled up or the radio too loud, you may not be aware of the squealing sound. Everyone around will hear you pulling up to the stop light, but you won’t know why they’re all staring at you. It’s a good idea to drive with your windows down occasionally. This lets you know the true condition of your vehicle’s brakes. If you continue to drive with squealing brakes, this will soon turn into a scraping sound, similar to sandpaper. There is no longer sufficient brake pad left to protect the brake rotors. This scraping sound requires your immediate attention, and will turn into a metal-on-metal grinding noise. Your vehicle is extremely dangerous for the road and will end up on the side of the road if you’re not careful. Delaying your brake repairs will do damage to other components of your braking system, like the brake rotors, calipers, drums, and more. 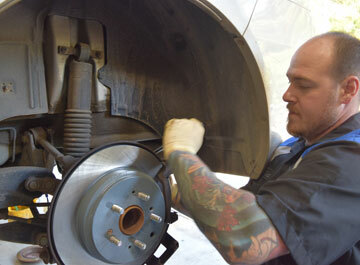 Carmedix has the best brake repair specialists in the RTP area. It’s not just our brake service expertise and state-of-the-art equipment, but it’s our friendly and professional staff that keeps our customers coming back to us for all of their needs. Schedule a Brake Check or Repair Today! Come to Carmedix for a quick but thorough brake check service. Find out the truth about your braking system’s condition today. Most costly repairs and breakdowns could have been prevented by simply acting fast. Continuing to drive a vehicle that needs professional attention will do considerable damage to your vehicle’s systems. 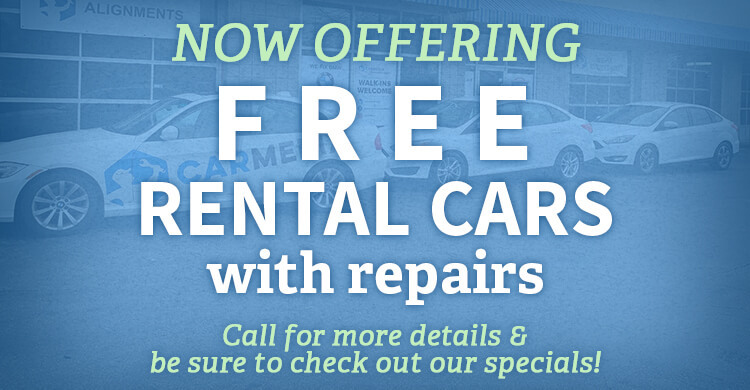 The sooner you bring your vehicle to us, the sooner you’ll know the truth. Give us a call today at 984-888-0791 to schedule your next brake check or brake repair appointment. You can also save time and money by using our convenient online scheduling system. Next time you’re in the area–2105 E NC Highway 54 #5–feel free to stop. We gladly accept all of our walk-ins!